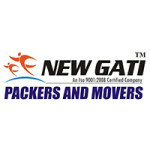 Why Do You Need an Online Directory of the Packers and Movers? 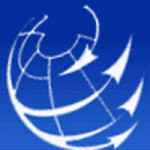 The world has become a global village after the introduction of internet and successful implementation of the globalization, privatization and liberalization. As the consequence of it, one can easily find the opportunities waiting for him or her in a distant place. He or she can easily accept it even crossing the interface of his or her country. This causes the necessity of relocation, creating another need for packing and moving things to get settled well in a different place. This is one of the most daunting tasks for almost all people doing it. Collecting, arraigning, and packing household things and other additional goods is a laborious, brainstorming and time-consuming task. This becomes a nightmare for a person who is about to leave one place for another. The situation becomes worse when the relocating place is far away from his or her present location. Handling all these things by an unprofessional is really a tough task. Therefore, these activities need some practiced hands to plan, organize, lead, and control in a proper way. To meet these needs and demands exactly, many shipping or packing and moving companies have come to the scene. They play some important roles to help one who is at a critical juncture. This is why their importance in the present milieu does not wait for an explanation. These all are very fine till now. Now let us have a look at the other side of this workshop. To meet the increasing shifting needs, many packers and movers have come to the frame. However, finding a professional offering this service at your place or very close to you is really a tough task unless you have adequate information beforehand. To make the job much easier for you, Find Movers, a directory of the best packers and movers (companies), has started its operation since 2015. It offers a plethora of options to choose from. On it, you can easily find the lists of shipping companies (with full contact details) offering services at your locations. 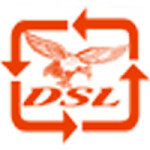 Furthermore, on it, you can send an enquiry, ask for a quote and visit the official website of a company easily. 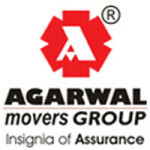 This portal FindMovers is dedicated to making your home relocation job much easier and convenient for you. If you are interested in having adequate information about the shifting process and finding the right packer and mover according to your needs, you can visit this website www.findmovers.co.in. You are sure to find the best solutions provider offering quality solutions at the most reasonable rates, comparing a number of quotations and service lists sent to you.